Vein Miner will be a real salvation for miners who just live in the mines and do not see the light of day. The modification allows to extract the entire ore vein by breaking only one block of all. Consider how many times ore mining will be speeded up if you can break all blocks by making several strokes with a pick. For many, ore mining will be a favorite activity, especially when you stumble upon rich ore deposits forming about a dozen blocks. Coal mining (one of the most common types) will receive mega acceleration. 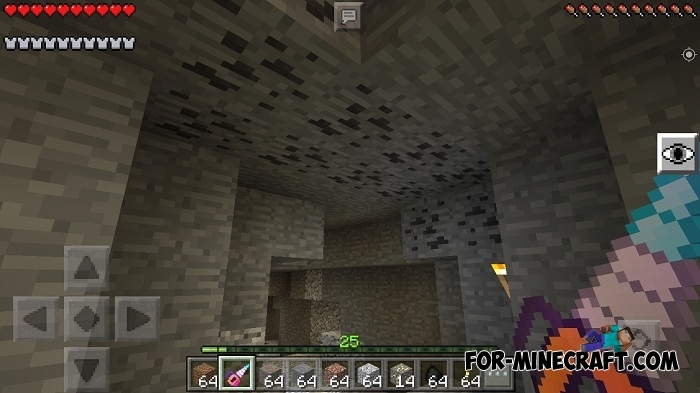 Look at the screenshots, before and after installing the Vein Miner mod. Honestly, this mod was first implemented on MCPC but subsequently ported to Minecraft Pocket Edition while retaining all the features. How to disable the mod in the game? 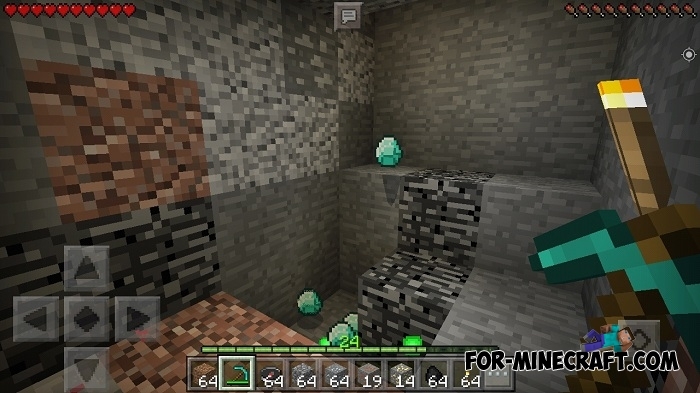 Just press sneaking and breaking the ores will be the same as in the original game without modifications. 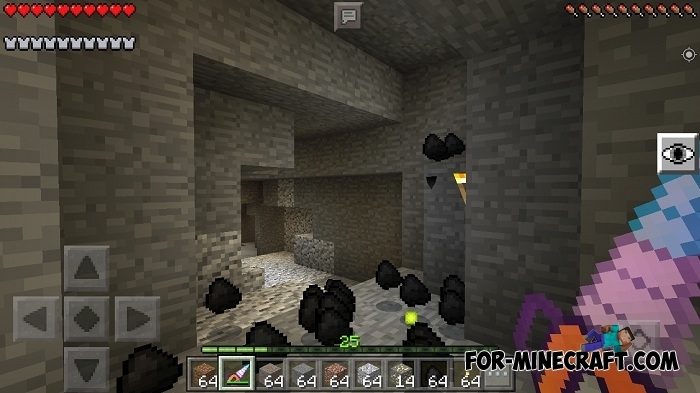 Another big advantage is that Vein Miner is compatible with any IC mods that may contain new tools and ores. How to install the Vein Miner mod?